Let me just say that middle school is clearly the ‘armpit’ of life. It is that period of life that is just so awkward physically and emotionally. Your body is changing, you are becoming an adult and you are in this weird limbo where you are straddling childhood and adulthood all at once. Throw all those things into a school building and you have middle school. So how do you make it through these years with your kids? Developing a plan to get them through it always helps. Here are some tips my family came up with to help you and your teen/tween relieve the stress of Back To School. Looking and feeling your best. Looking your best doesn’t mean spending an arm and a leg on clothes or products. It is about knowing how to take care of yourself and maintaining your personal belongings. Have some dialogue with your child about personal grooming. Showering regularly, wearing deodorant, laundering their clothes. Because we have been doing these simple things for so long we may forget that our kids are just learning. Explaining why these things are important will help them understand their importance and help them to feel good about themselves and the way they look. Begin by stocking their bathroom with some body grooming products like the AXE Gold line which includes AXE Gold deodorant, AXE Gold body wash, shampoo, and AXE Gold body spray. Having good smelling products that are effective will hopefully help them feel more comfortable with using them. Get plenty of rest. I know this is a constant battle in our household. Your child doesn’t want to be limited by a bedtime but trust me, you will both be thankful to have enforced one. During this period of life when their bodies are changing and growing so rapidly they need that time to allow their body to rest. Discuss a bedtime with your child and agree to it together, that way when the time comes to enforce it you will have both been in agreeance. Time management. Balancing school work, extracurricular activities, social lives and more can be a balancing act for teens. 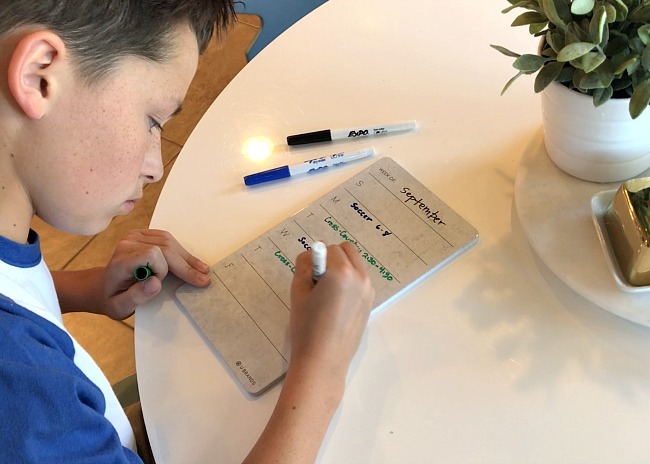 Help them to plan and schedule their activities so that they are involved in keeping scheduled. This helps them feel more accountable for being where they are supposed to be when they are supposed to be there. Back To School shopping. 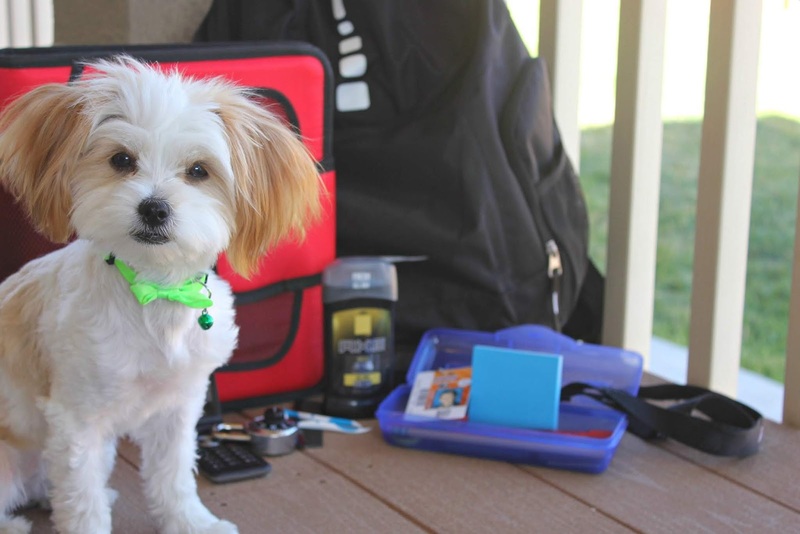 Make sure to pick up all the school supplies you will need for the semester including extra grooming products for your locker. You’ll want to keep your child stocked for any emergencies and prepared for everything. When they feel prepared they will feel less stressed in case something does happen to come up. For my son I pick up extra AXE deodorant, and AXE body spray as well as disposable tooth brushes. We tend to postpone this shopping until last minute but this is something that can be done early and allow yourself one less thing to take care of right before school starts. Help your child understand their own capabilities. The school year is filled with sweat-inducing moments, ie: pop quizzes, awkward school dances, etc. As a parent you can help your child make it through these moments with confidence. Don’t be stingy with your compliments, give them lots of praise and make sure they are following through with their responsibilities. 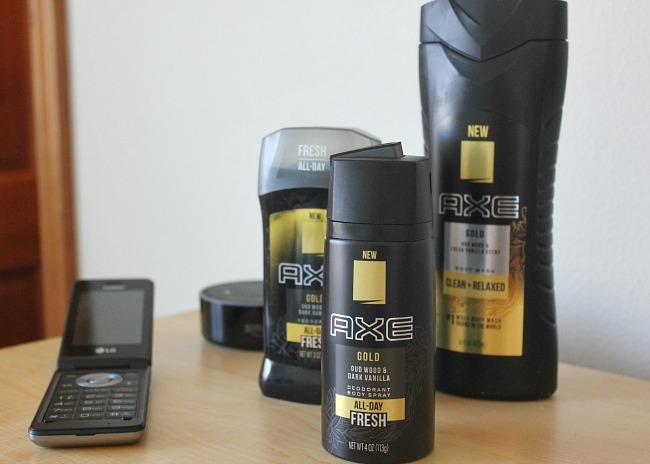 AXE Gold will help them feel ‘fresher under pressure’ and eliminate the awkwardness that can follow those sweat inducing moments by helping them stay fresh through any curve balls that are thrown their way. These are just a few small things you can be doing with your child to help them make this transition through Middle School a little bit easier. While it may be the ‘armpit’ of life, it doesn’t have to stink 😉.